In the span of about a decade, LPMG has led the charge in changing the landscape of what was once a decaying, population-declining Philadelphia. We revive Philadelphia neighborhoods through a mix of strategic investments, property management, and real estate financing. Through in-fill residential development and the restoration of amenity-based businesses, LPMG builds community initiatives that provide jobs, local sustainable income, and a better quality of life overall for residents. By making these smart, small changes, we are proving that neighborhood retention can happen without government intervention. Building communities, one property at a time. We're focused on the before and after, transforming vacant spaces into thriving additions to the neighborhood. Establishing businesses that contribute to the culture of the neighborhood. Where businesses thrive, communities thrive, and neither can succeed without the other. Providing high-quality, community-based property management in neighborhoods across Philadelphia. We are invested in the management of what we work so hard to create. Originally from “The County” Bucks, Longacre moved to Philadelphia in the early 1990s to attend Temple University. Being exposed to large-scale development initiatives through an internship in the Rendell Administration, he became consumed with the idea that smart economic development initiatives are the key to not only sustaining the region – but advancing it. After losing a race for City Council, Longacre realized that urban revitalization efforts did not have to come strictly at the hands of government, but were even more achievable through the private sector with a little outside-the-box thinking, smart development initiatives and community buy in. Prior to joining LPMG Management, Mark was a Senior Manager at BNY Mellon reviewing mutual funds. Before this Mark was a senior manager at Keystone Property Group. 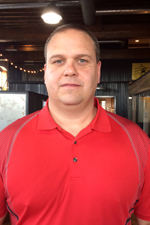 Mark’s experience also includes being assistant controller at O’Neil Property Group. Mark graduated with honors from Indiana University of Pennsylvania where he earned his Bachelor of Science in Finance. He is currently working toward his MBA from Temple University. Born on a farm in Tyler, Texas … no, that was Earl Campbell. 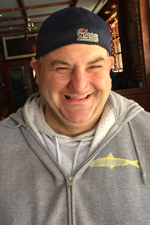 Dennis is Delco-proud with a South Philly layer of lizard skin built up by two decades of serving as a sports writer for the Delaware Co. Daily Times. He covered the Phillies, Sixers, Eagles and mostly ignored the Flyers like everyone else since Eric Lindros got dropped on his head. As a property manager he uses his Delco (did we mention he is from Delco?) down-to-earthiness to keep landlords and tenants in their happy place, while dreaming of a world where HVAC repairmen and roofers keep the world cool and dry — just as he likes his beer. 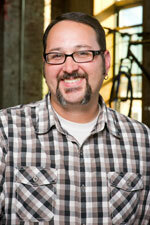 Chris comes to LPMG with over 22 years of experience in restaurant operations, and he’s not tired of it all. 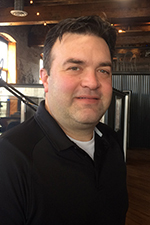 Chris oversees all of the LPMG restaurant properties and insures that the over-the- bar interface with the community is personal, fun and engaging. 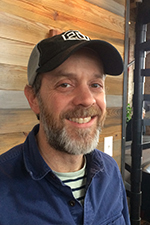 Dedicated to hospitality, Chris works closely with the people and places that give the neighborhood its identity, and he feels rewarded daily. Outside of work, Chris can be found spending time with his daughter and, hopefully, camping or sailing. Matt returns to the family after spending a year off the grid. 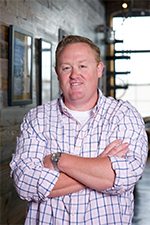 He’s the man with the plan and has the positive attitude that every company needs. 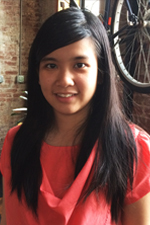 Originally from Indonesia, Kezia came to the US to further her education. After starting out Pensacola, FL, Kezia moved to Philadelphia for a work opportunity. She recently graduated from Wilmington University with a Master of Science in Accounting. Huy Nguyen serves as LPMG’s Field General. 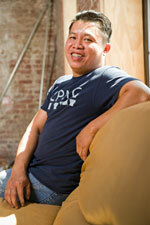 Huy’s uncompromising dedication and enthusiasm is felt throughout the entire company on a daily basis. Huy is responsible for keeping all sub-contractors on time, on date, and in line with LPMG standards. As a modern day MacGyver, Huy’ s professional certifications as a plumber, electrician, and network engineer bring an expansive cross-section of knowledge and experience to his job. 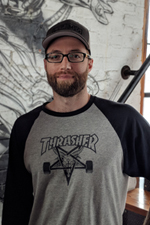 After spending most of the last 15 years in the music business either on tour or marketing for bands, labels and performance venues, it only makes sense that Anthony now handles marketing and promotion for LPMG; tasked with getting the word out on all of LPMG’s events and endeavors. 45–year-old Hollywood, as he is affectionately known, was born and raised in the Newbold neighborhood of South Philadelphia. He has never left south Philadelphia, nor does he intend to. Hollywood lets off steam at the local TAPROOM where he rocks the Mummer’s strut all year round. Hollywood achieves happiness and his boyish physique by consuming a steady diet of cheese steaks with a side salad. He dons a bushy mustache, not because it’s ironically funny and hip, but rather because he’s true-blue-collar South Philly cool.